However, one of the biggest challenges that energy and utilities firms face lies in being able to collect, correlate, and analyze streaming Big Data in real-time so as to be able to proactively respond to situations that might present a threat or a revenue opportunity or impact a customer’s experience. Streaming data includes events and data from smart grid networks, smart meters, SCADA systems and sensor streams, RSS feeds for weather and traffic, as well as social media. Stored data includes information in databases, data warehouses, enterprise applications, and Big Data frameworks such as Hadoop. 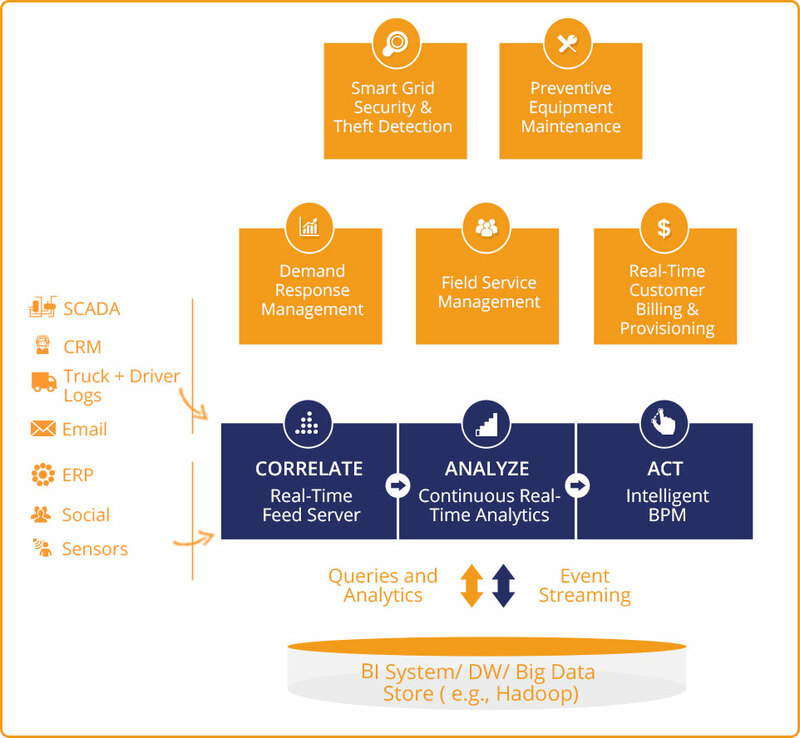 Traditional business intelligence (BI) and data warehousing approaches that rely on persistent data and batch-oriented analysis introduces far too much latency to be able to deliver insights in a timely manner. 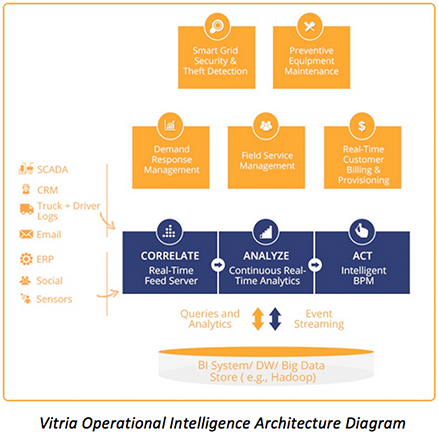 Vitria Operational Intelligence (OI) empowers energy and utilities firms to quickly act on insights gleaned from streaming data and information – while it still counts. It brings together state-of-the-art stream processing, real-time analytics, visual dashboards, and business process management capabilities into one unified platform to help energy and utilities firms take immediate process-based action on the discovered insights. With Vitria OI, energy and utilities firms can quickly correlate streaming and stored data to gain continuous, real-time insight, presented in context through live, role-based dashboards.